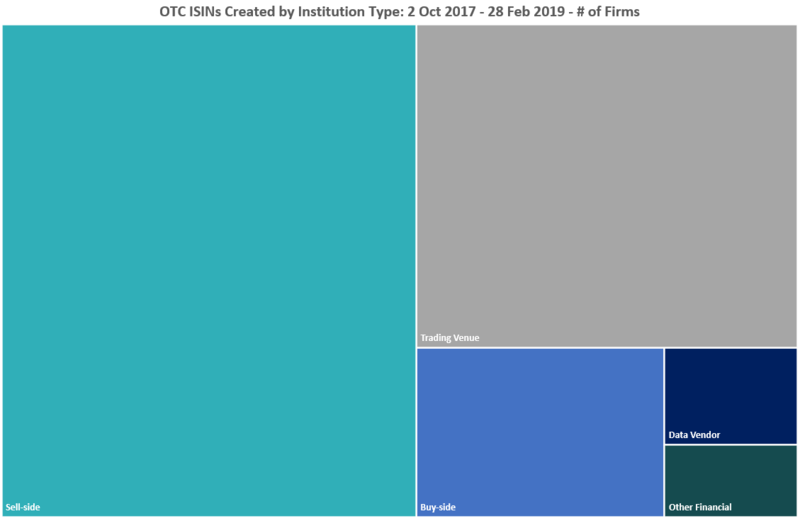 This month’s statistics overview begins with a snapshot showing the types of institutions that are most active in terms of OTC ISIN creation activity. 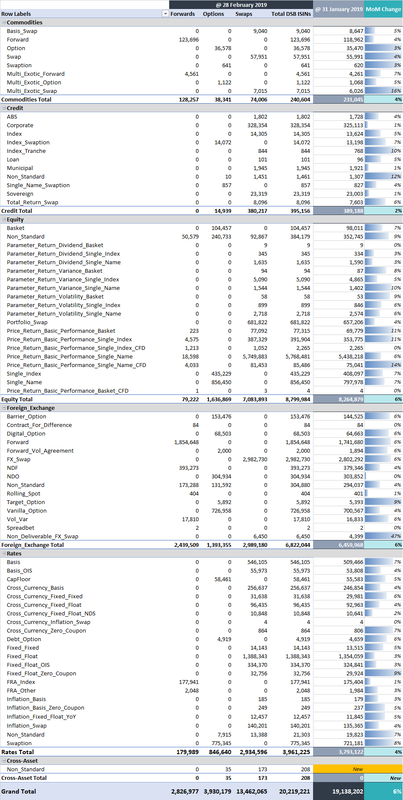 The DSB introduced three cross-asset and three portfolio swap templates in mid-February, and it will be interesting to see how use of these templates evolves in the coming months. Monthly trends held steady with a return to steady state activity in February 2019. The numbers below show the number of DSB ISINs created since the inception of the service in October 2017. 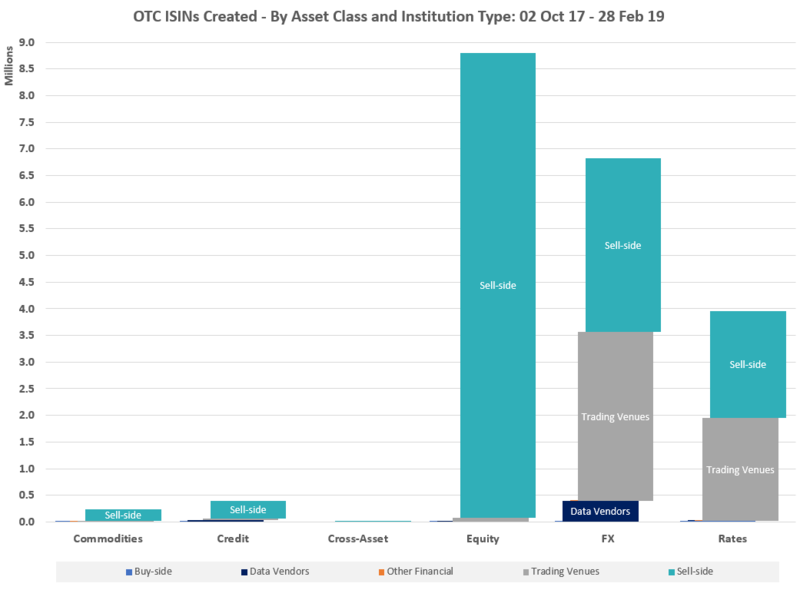 As the table below shows, the market seems to have attained a degree of stability with respect to the generation and search of OTC ISIN, CFI and FISN data. A handful of ISINs have been created for the new cross-asset templates which were made available on 17th February, so this will be one to watch. The DSB also introduced 3 new portfolio swap templates at user request and expects that use of these will commence in the coming weeks. Notably, the use of non-standard templates seems to be growing – which signals increasing adoption at the more complex end of the spectrum. 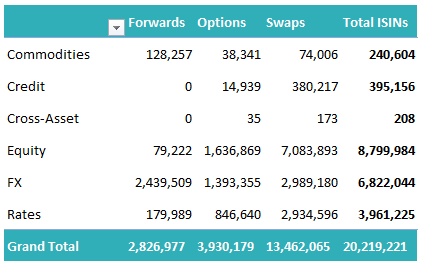 As would be expected, absolute numbers are lower than those for flow instruments like vanilla options, but the relative month of month increase is around 6% for options and swaps and 4% for forwards. 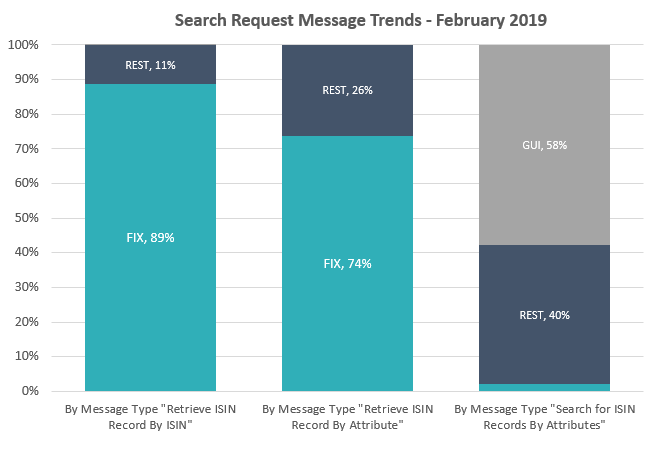 Users’ search request related interactions remain fairly consistent, with FIX based users continuing to dominate programmatic searches within the DSB. 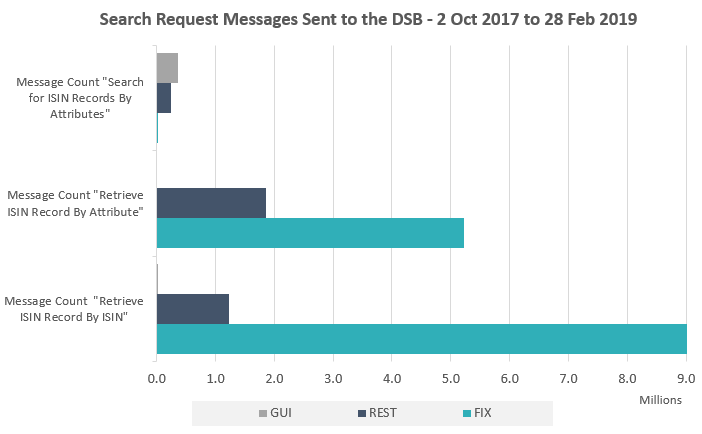 As above, the data below shows the volume of messages received by the DSB since inception of the Production service on 2nd October 2017.